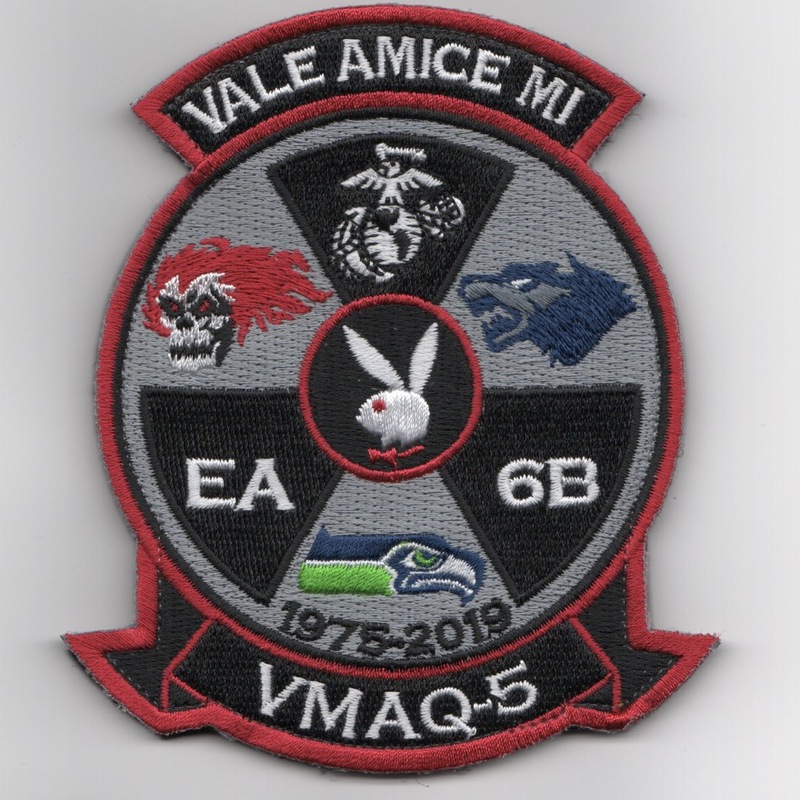 Another AV8RSTUFF Creation: This is the first of several patches that we have created for the VMAQ-5 Facebook Group, and with your assistance, we are donating a portion of these profits to the VMAQ Monument Foundation in order to help raise enough funds to get an 'Bronze Display' (to include a Pilot / ECMO / Plane Mechanic) located in a 'national level' museum! The LATIN saying across the top 'VALE AMICE MI' translates to "FAREWELL OLD FRIEND". (This patch DOES have velcro attached. 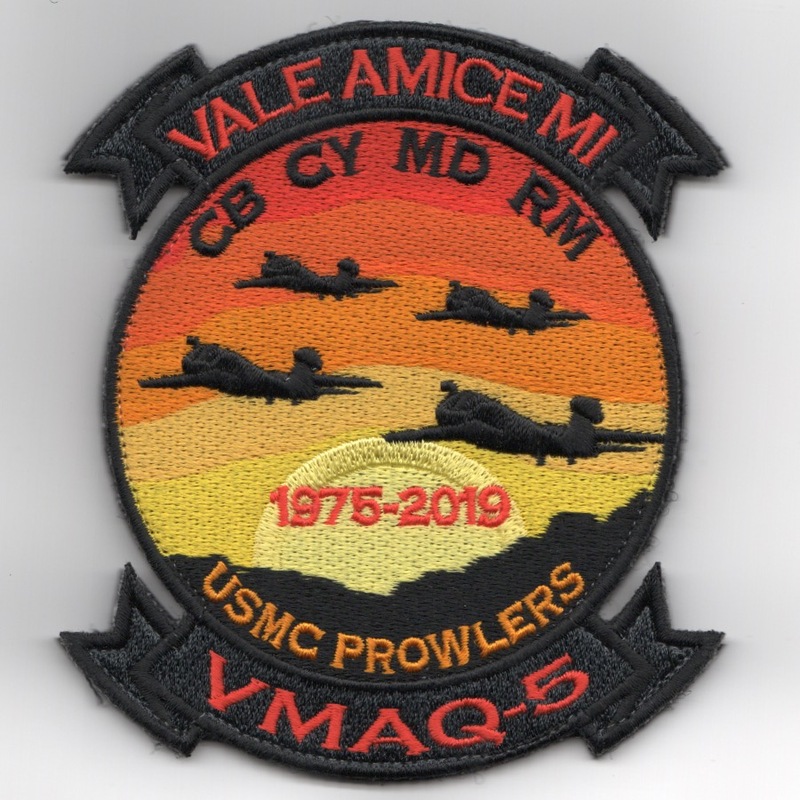 Another AV8RSTUFF Creation: This is another of the several patches that we have created for the VMAQ-5 Facebook Group, and with your assistance, we are donating a portion of these profits to the VMAQ Monument Foundation in order to help raise enough funds to get an 'Bronze Display' (to include a Pilot / ECMO / Plane Mechanic) located in a 'national level' museum! The LATIN saying across the top 'VALE AMICE MI' translates to "FAREWELL OLD FRIEND". 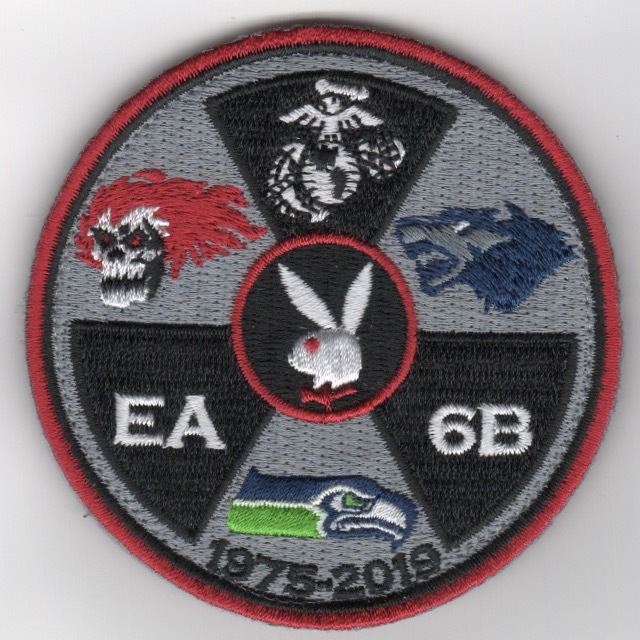 (This patch DOES have velcro attached. 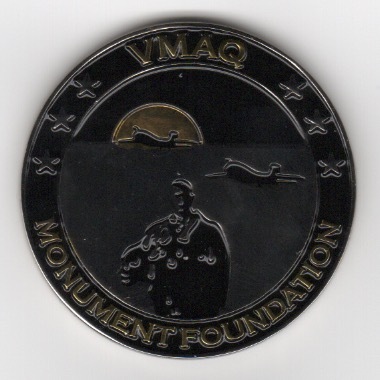 Another AV8RSTUFF Creation: This is the VMAQ-5 coin created to help raise funds for the to get a 'Bronze Display' (to include a Pilot / ECMO / Plane Mechanic) located in a 'national level' museum! Get one while they last! This is the "FRONT" image of the coin (and the picture doesn't do it justice). Can see the backside of the coin below. 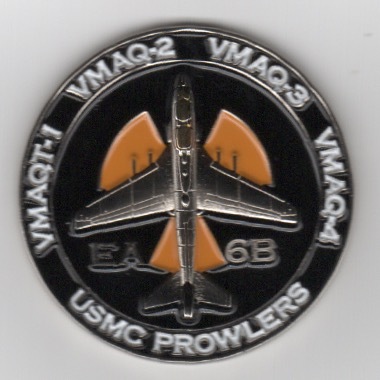 Another AV8RSTUFF Creation: This is the VMAQ-5 coin created to help raise funds for the to get a 'Bronze Display' (to include a Pilot / ECMO / Plane Mechanic) located in a 'national level' museum! Get one while they last! This is the "BACK" image of the coin (and the picture doesn't do it justice). Can see the front of the coin above. 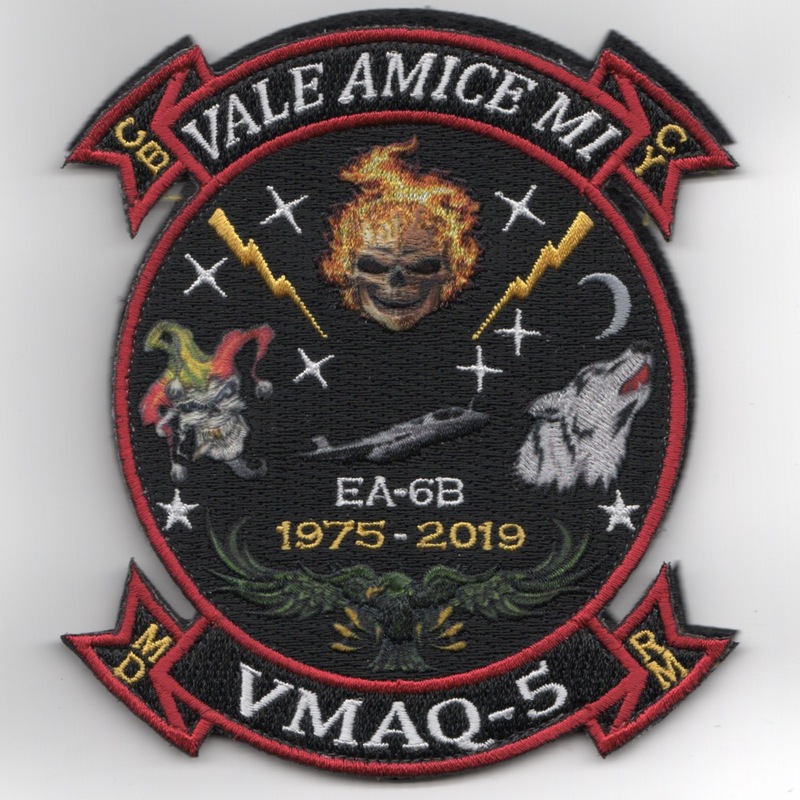 Homepage | Order VMAQ-5 'RADIATION' Patch!